NASHVILLE, Tenn. (AP) — Democratic Senate candidate Phil Bredesen said Wednesday that the woman accusing Supreme Court nominee Brett Kavanaugh of sexual assault “has a very credible story.” But he said the Judiciary Committee should consider proceeding with a vote if she does not testify under oath. The Senate race in Tennessee, a reliably Republican state, is among the most competitive in the nation. 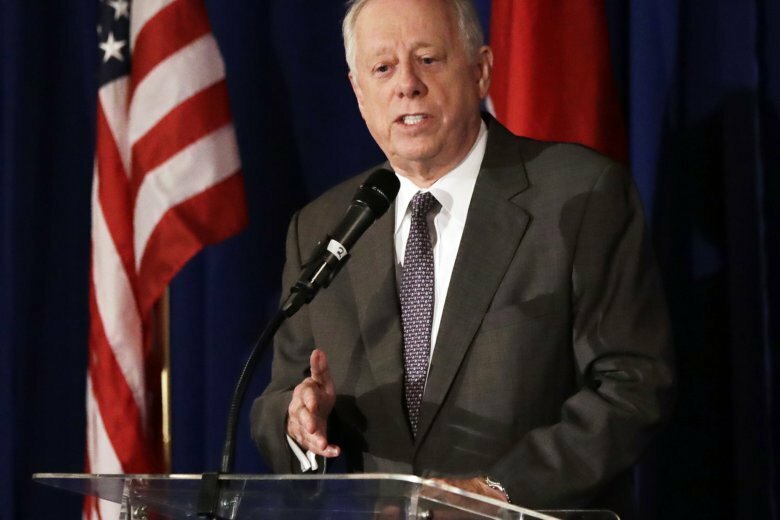 Bredesen, the state’s former governor, is running as a centrist against Republican U.S. Rep. Marsha Blackburn and keeping a distance from national Democrats. The seat is opening up with the retirement of Republican Sen. Bob Corker. “Even what she’s done so far would impact my thinking, but not nearly as much as if she sat there and I had a chance to question her,” Bredesen said. The Judiciary Committee has invited both Ford and Kavanaugh to testify on Monday, though Ford’s attendance is uncertain. She’s said she wants the FBI to investigate her allegation before appearing in front of lawmakers — a stance that Democrats support but that President Donald Trump and Senate Republicans say won’t happen.